Elizabeth Ann (Betty) Bretschneider, age 75, of Oklahoma City, passed away Sunday, September 9, 2018. A native of Duncan, Oklahoma, she was the daughter of Evans and Aletha Bretschneider. She attended Duncan public schools for twelve years. 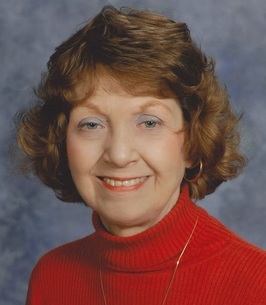 Betty was an avid reader, and enjoyed a busy social life, being an active member of the youth group of First Baptist Church, Spanish Club, Honor Society and other high school organizations, and the Las Reinitas social club. Many of her summers included the highlight of spending a couple of weeks with her aunt, uncle, and cousins on the Wichita wildlife refuge, where her uncle was manager. She took piano lessons for many years and also learned to play by ear. In high school, she won first place in many piano competitions and accompanied the church youth choir. Betty was greatly influenced by her excellent Spanish teacher, Mrs. Florence Tucker, who took the Spanish club to Mexico City every summer, and taught Betty to appreciate the Mexican culture. Betty attended Oklahoma Baptist University with academic scholarships for two years, then transferred to the University of Oklahoma so that she could graduate with a major in Spanish. After graduation, there was not much need for bilingual jobs, so Betty attended a business school in Oklahoma City, where she polished her secretarial skills, typing 128 words per minute on an electric typewriter. Betty’s first job was as a secretary with Kerr-McGee, where she worked for a year or two and managed to buy a brand new powder blue 65 Mustang. Then she decided she’d like to live in Mexico for a while, so packed up her Mustang, and drove by herself to Mexico City. She got a secretarial job there with Southern Baptist missionaries, and greatly enjoyed living in Mexico for two years. Coming back to the States to be close to family, Betty got a job in the travel industry with Braniff Airlines in Dallas. She worked her way up the corporate ladder to the position of secretary to various vice presidents, which position she maintained through Braniff’s bankruptcy and subsequent reorganizations. After Braniff’s final demise, Betty worked hard to stay in the travel industry, working for a couple of other airlines, then Jack Tarr Resorts. With the decline of the airline industry and her own health as well, due to rheumatoid arthritis, Betty went to work for what became Verizon, in Dallas. Again, she rose to a high level as executive administrative assistant, working there approximately 20 years, retiring in January, 2017. When not at work, Betty loved to be outside, and enjoyed keeping her lawn looking great. She was a very generous person, and lavished gifts on her family and many wonderful friends. Over the years, Betty enjoyed worldwide travel, often taking family members and friends with her. She always remained active in church, a member of Park Cities Baptist Church in Dallas. She was loyal and loving to all, with lots of love left over for her pets, Ben, a Sheltie dog, and later, her ornery black-and-white tomcat, Snicklefritz. And it must be said, she delighted in homemade ice cream, and could usually eat more than anyone else! Survivors include a sister, June Robinson and her husband Glenn Robinson of Oklahoma City; a brother, Paul Bretschneider and his wife Joni of Haltom City, Texas; four nieces and nephews, Dan Robinson of Denver, CO; Jennifer Fisher and her husband Patrick of Chicago, IL; Renee Bretschneider of Haltom City, TX; and Micah Bretschneider of Haltom City, TX; and two grandnephews and a grandniece, Desmond Fisher, Meara Fisher, and Brendan Fisher of Chicago, IL. In lieu of flowers, contributions may be made to International Missions Board, Attn: Ministry Advancement, PO Box 6767, Richmond, VA 23230 - or to The Arthritis Foundation, P.O. Box 96280, Washington D C 20090-6280. Visitation will be held on Wednesday, September 12, 2018 from 5:00 to 7:00 at Vondel Smith Mortuary, 13125 N. MacArthur Blvd. OKC, OK. Services will be held Friday, September 14th, 2018 at 10:00 am at Park Cities Baptist Church, Dallas, TX, with burial to follow at Duncan Municipal Cemetery in Duncan, OK, at 4:30 PM. To send flowers to the family of Elizabeth Ann Bretschneider (Bretschneider), please visit our Heartfelt Sympathies Store. The kindest person I ever knew. She was always a dear friend to me. Lost contact after high school but have treasured the memory of the friendship we had. I have pictures to remind me of our good times. I am so sorry for the family’s loss. Death is truly an enemy. May you find comfort from the future promise recorded in 1 Corinthians 15:26 which says “the last enemy, death, is to be brought to nothing.” This is a promise from God and we can be confident he will fulfill his promises.